VOLUSIA COUNTY, Fla. - Volusia County deputies say a potential crisis was averted when witnesses saved a baby that had been forgotten in the back seat of a parked vehicle Tuesday afternoon. 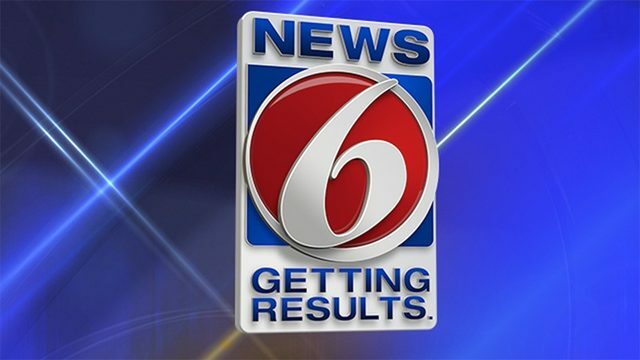 Witnesses noticed the 8-month-old boy in a vehicle parked outside a salon supply store on Enterprise Road in Orange City at about 3:15 p.m. and called 911, a news release said. "There's a baby in a car and we just opened the door but we don't know where the people are, whose car it is," a man told a 911 operator. Passersby opened the unlocked door and removed the child, who was in good health and good spirits, according to deputies. "The baby's fine. He's not crying, he's breathing. Everything's fine with the baby," the man said in a 911 call. He said the black Nissan Rogue was not hot on the inside, which made him think that it hadn't been parked for a long time. About 24 minutes after the 911 call was made, Meagan Burgess, 33, arrived back at the vehicle. She told deputies that she had forgotten the baby was in the car because she had just dropped off several other children with a family member in DeBary, according to a news release. She told deputies that leaving the baby in the vehicle was her worst fear. Her relationship with the infant was not available. Burgess was arrested on a child neglect charge. Deputies said Tuesday's incident should serve as a reminder to parents and guardians to always check the back seat and never leave a child alone in a vehicle. NoHeatStroke.org reports that 42 children died in hot vehicles last year alone. Temperatures inside vehicle can rise 20 degrees in just 10 minutes and infants are particularly vulnerable to heat stroke. Click here for tips on how to make sure a child isn't inadvertently left in a back seat.